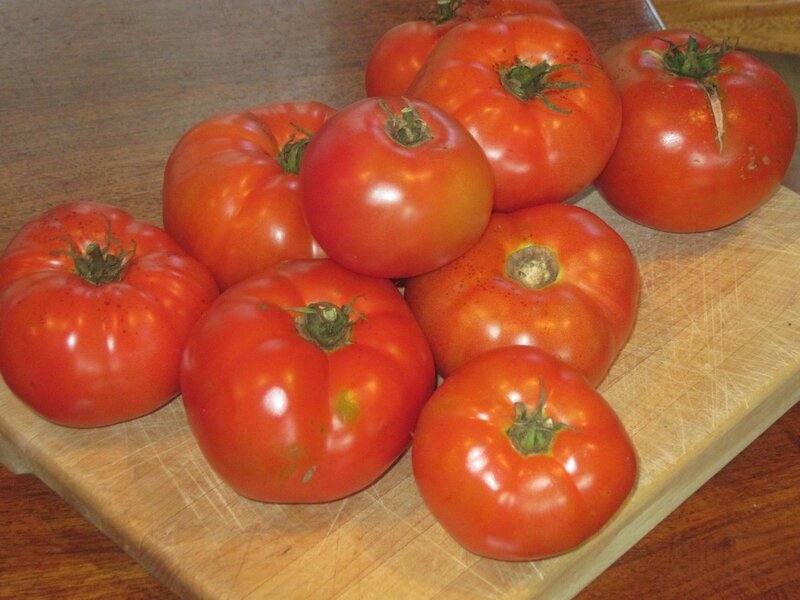 Summer tomatoes- they are abundant now and I have all kinds of ideas for them. 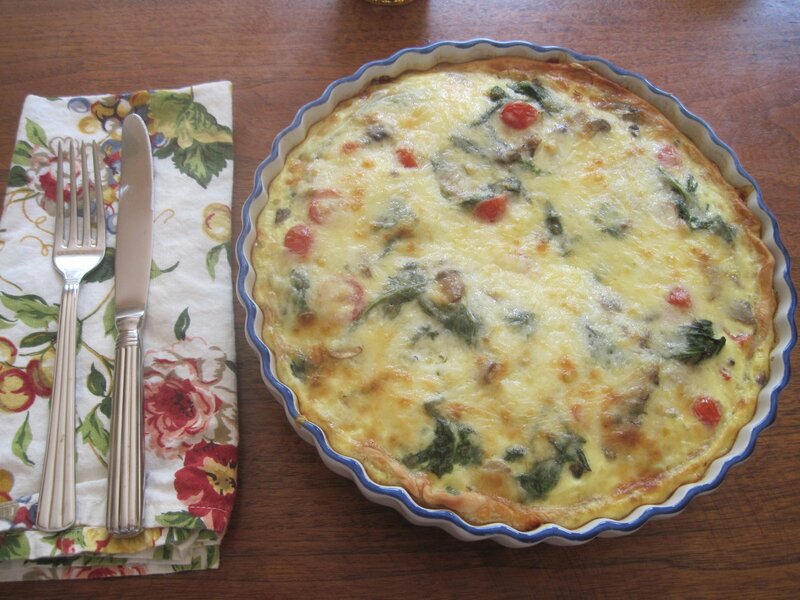 Since I have a lot of eggs and a lot of veggies- a quiche sounds delightful! I love quiche! Yes quiche for breakfast, for lunch, for brunch, for dinner and for a snack.Okay- I am getting carried away since I am the only one in my family that is going for that idea- but hey I can dream right??? I also have Swiss chard that I steamed for last night’s dinner. Plus some yummy potatoes that I cubed and baked with olive oil and sea salt. 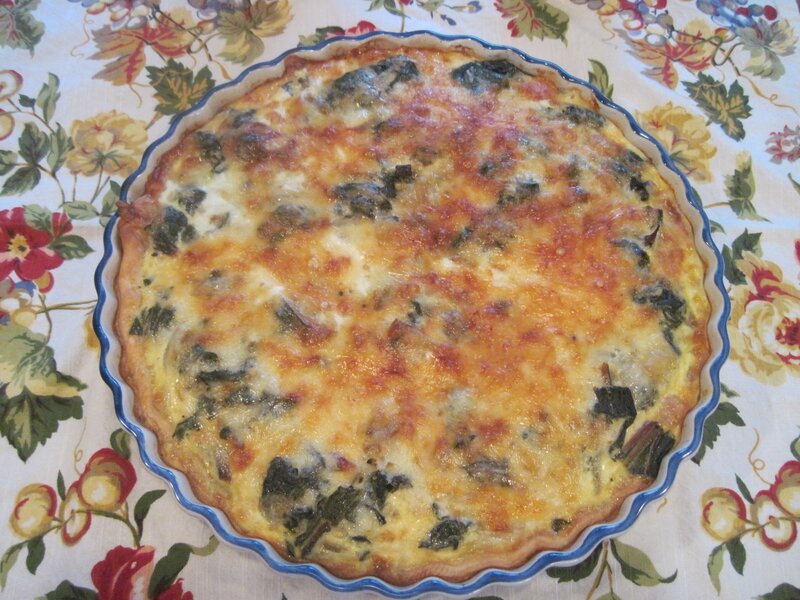 You can use anything that you like for a quiche- experiment- see what combinations you like. This serves 8-10 small slices, 6-8 large slices. Perfect for a party- your guests will swoon- I was swooning when it came out of the oven- I love it warm and oozing with cheese. 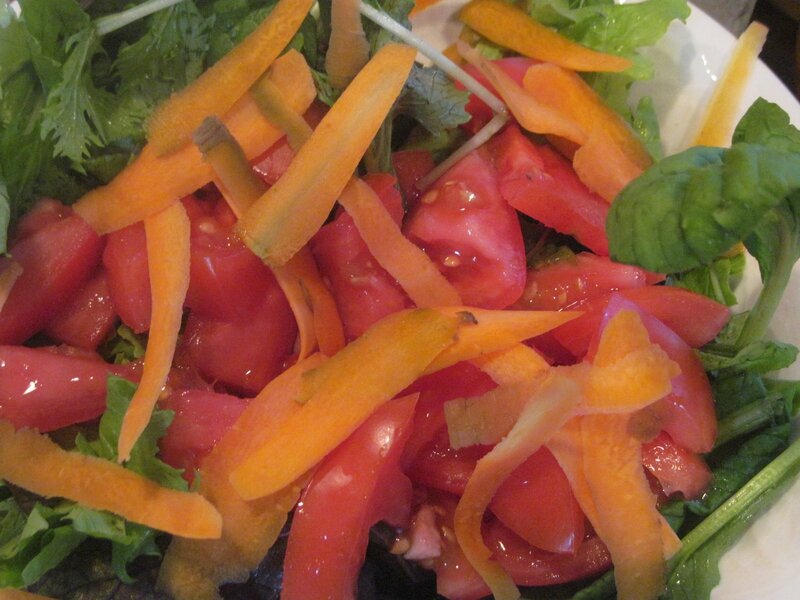 Serve your quiche with a garden salad for lunch or dinner, fresh fruit for breakfast or brunch. Over medium- low heat melt butter in a large saucepan. Add onions, Swiss chard and potatoes. Cook slowly, stirring occasionally until the vegetables are soft. Spoon vegetables into crust and sprinkle with cheese. Combine eggs and milk. Season with salt and pepper. Pour egg mixture over vegetables and cheese. Bake in a preheated oven for 30 minutes, or until center has set and is golden brown.